roy6, setterman told me you had your hands full. However, lmk if you would like to use these 44s. I'm sure you know the scoop on that, but I really shouldn't let it affect what I would normally do. Just set bear traps around them or something. Thank, jyoni, those 44s are beautiful. I'll let you know. Michael & Charla Harris's book signing and 19th century clothing display will be hosted at Roy Slaper's Miniature Museum in Oakland, CA on Friday, July 27th. wow how exciting! what a neat opportunity to see his workshop. Very cool, going to go to this for sure, shaping up to be an exciting weekend, thanks! ^won't be at Roy's workshop, but at his storefront. Also very cool though, and in a more fun part of town. nice. can you give any info on the art gallery of the sewing machines artwork? wouldn't mind checking it out. looked for it online but couldn't find any info. thanks. Vintage 19th century clothing show & book sale & signing by Mike & Charla Harris at Roy's Miniature museum in Oakland. Food cart(s). Possible pub crawl. 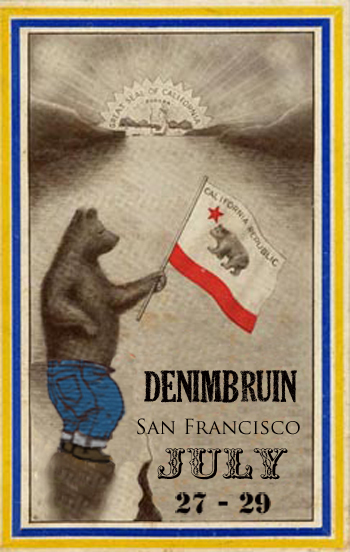 Made in CA denim & workwear show at AB Fits in San Francisco's North Beach. Confirmed to show and attend: Roy, Tellason, Jack/Knife, Blue Blanket, Earnest Sewn, Deadgrass, a few more in the works. Display items from Rising Sun, LVC, Early to rise. Some items for sale. Drink + food. Open studio at Jack/Knife in Soma, San Francisco. Details to come.